A blog site for the anthology, A Tingling Catch: A Century of New Zealand Cricket Poems 1864-2009 edited by Mark Pirie; foreword by Don Neely (HeadworX Publishers, Wellington, New Zealand, 2010). The blog features reviews and commentary on the book as well as New Zealand cricket poetry, reviews of New Zealand cricket books and other related material. The book's cover is by UK cricket painter Jocelyn Galsworthy. 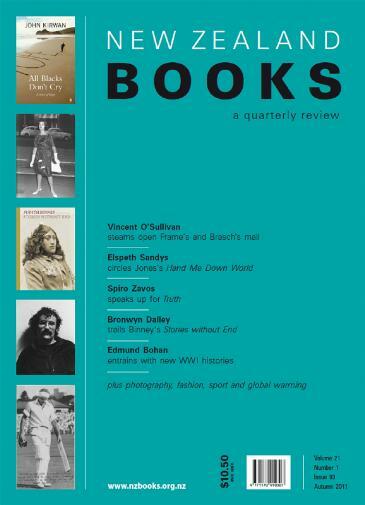 The latest issue of New Zealand Books (Autumn 2011) features a review of Richard Boock's The Last Everyday Hero: The Bert Sutcliffe Story (Longacre, 2010) by Harry Ricketts. 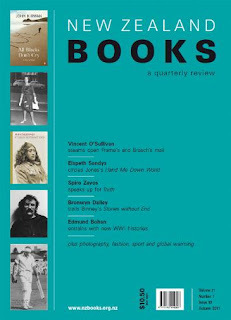 New Zealand Books (http://www.nzbooks.org.nz/) is a quarterly review journal that specialises in reviewing local books. It's good to see Boock's biography getting a substantial review there. One point of note. Harry says that Boock could've made more of the available material about Sutcliffe. For instance, Harry notes that John Arlott's piece on Bert Sutcliffe in Arlott's 100 Greatest Batsmen doesn't seem to have been referred to at all. Snippets from Arlott could've added to the book no doubt. Here's a quote from Arlott's piece on Sutcliffe: 'Like all the best batsmen, he was strong off the front foot or back - and his forward strokes were quite scholarly in method - his driving was handsome, but his hooking and pulling were equally effective.' I like the idea of Sutcliffe's strokes being 'scholarly in method'. Other New Zealand batsmen in Arlott's 100 Greatest list (1989 ed.) are Martin Donnelly, Stewart Dempster, John Reid, Martin Crowe, Bevan Congdon and Glenn Turner. See also my own blog review of Boock's biography (December 2010). And the man who's safe for a tingling catch"